LSU alumnae Lillian Hoover and Jackie Wintle (Human Sciences & Education, '56 and '62, respectively) are making the most of their support of the LSU School of Library & Information Sciences through planned gifts. By "blending" charitable gift types, in their case immediate contributions along with planned gifts to provide for LSU's future, both women are enjoying the impacts of their contributions today while committing to future gifts that will extend their dedication to library studies. 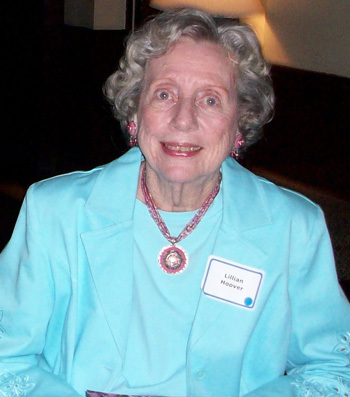 Hoover's SLIS graduate scholarship is in memory of her late husband, Jimmie (Human Sciences & Education, '58), director of government documents for LSU Libraries from 1967-84. She has enjoyed meeting the scholarship recipients for years, and the fund will increase through her estate. "He was such a kind person. He really loved working with the students. And they loved him," Hoover shared. Hoover left Baton Rouge when she was 20 years old to join the U.S. Navy. She oversaw the women's barracks at Naval Air Technical Training Center in Norman, Okla. She returned home after the untimely death of her first husband, Erwin Klettke, an ExxonMobil employee, and met Jimmie soon after. As a surviving spouse, Hoover's gift was matched three-to-one by the company. She considers it a tribute to both of her "wonderful husbands." Wintle, a Shreveport, La., native, discovered her passion for connecting people with disabilities to library services while volunteering through a Junior League project. 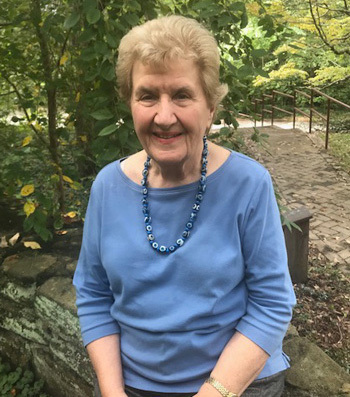 "I learned to use a brailler and transcribed braille for a resource teacher who suddenly found that she had several blind students coming through," Wintle, who earned her master's at SLIS, said. Wintle, who also has a master's in teaching from Yale University, was "fascinated" by a visit to the Library of Congress' National Library Service for the Blind and Physically Handicapped, a free braille and talking book library service for people who are blind, vision impaired, or have physical disabilities that prevent them from reading. She spent the majority of her 30-year career there. Wintle's fund, made through a cash gift, ensures SLIS curricula and LSU Libraries include library services and resources for patrons with disabilities. It also provides educational opportunities for faculty and students; publications and workshops for library professionals; and ways to enrich the LSU experience for faculty and students with disabilities. The fund will increase through support from her IRA. Like Jackie Wintle and Lillian Hoover, you can create a gift that enables you to see your impact today while committing to a future gift—and your LSU legacy. To learn more, contact Julie Bolton Falgout, PhD, at 225-578-5846 or jfalgout@lsufoundation.org.